This year’s ACC/Big Ten Challenge looks to result in some memorable games. Below are the match ups listed for each game. The team that is italicized is who I predict to win each of the match ups. The benefit of watching a few games and perusing box scores allows me to better understand the make up of Butler’s opponents. When developing projections of what to look for game to game or share a prediction, it’s easier with a larger sample size. For example, prior to Mississippi visiting Hinkle Fieldhouse, their team had only played one game. At that point, the Rebels led the nation in turnovers forced, about one in five trips down the floor would end in a turnover for the opposing offense. That game was against Western Michigan, a team that coughs up the ball nearly one in four trips down the floor when they are on offense. As teams play more games, the averages begin to show themselves and projecting results can become easier to justify. Bulldog fans have witnessed the growth center, Joey Brunk. The Bulldogs created opportunities to score points off turnovers. The ever compelling idea that head coach LaVall Jordan mentioned about playing at a quicker tempo eludes the Bulldogs from time to time, however. According to Kenpom.com, Butler plays below the national average pace, holding onto the ball longer than 66% of the body of college basketball teams. Game 4: Dayton, 2017-2018 Record: 14-17; series record Butler leads 11-10 Last meeting: March 14, 2013. The Dayton Flyers look to rebound from an uneven season last year. Anthony Grant leads a Dayton squad that returns four of their top five scorers from last season. Senior Josh Cunningham will be a significant influence for the Flyers as he was one of the most effective shooters in the country last year, ranking fifth in field goal percentage while averaging over 15 points and 8 rebounds per game. Other key returners that will provide significant impact for the Flyers are junior Trey Landers, and sophomores Jalen Crutcher and Jordan Davis. These three compliment Josh Cunningham well and will spread the floor. These three have played significant time in each of their first three games this season. Josh Cunningham has only played in one game. One other player to mention is Ryan Mikesell. He’s been effective in his shooting in the small sample size of this season. Mikesell is 50% from 3-point range and has been to the free throw line frequently. Although we are still early in the season, we begin to see trends for teams. Dayton looks like their group has a decent defense to go with an average offense. Butler looks like the opposite, having a decent offense along with an okay defense. Dayton is shooting just over 60 percent on 2-point shots compared to 29% on 3-point shots. Basing game prep off of these numbers, look for Dayton to work the ball inside for layups or to draw fouls. A closer look at Butler’s 3-point defense causes concern, however, even against a Dayton team that currently shoots below 30% from beyond the arc. Butler is allowing nearly 39% shooting against opponents from 3-point range. The Bulldogs will continue to improve in this area and the number should decline, but that remains an area for concern on the defensive end. When comparing second chances, Dayton does not allow many opportunities for opponents to grab offensive rebounds. Even though they protect their own rim well from second chance opportunities, the Flyers struggle in their own right to grab offensive boards. For Butler to win, they will need to pack the paint and force Dayton to make shots from beyond 15 feet. From a fan’s perspective, limiting unnecessary turnovers, the cross-court passes, is a desire to see growth in. Patience and maturity is required for that in addition to the coaching staff holding the players accountable. Prediction: I think Butler gets off to a slow start but wins this game by single digits. I think the Dawgs win 76-68 and meet Virginia in the semi-final round. 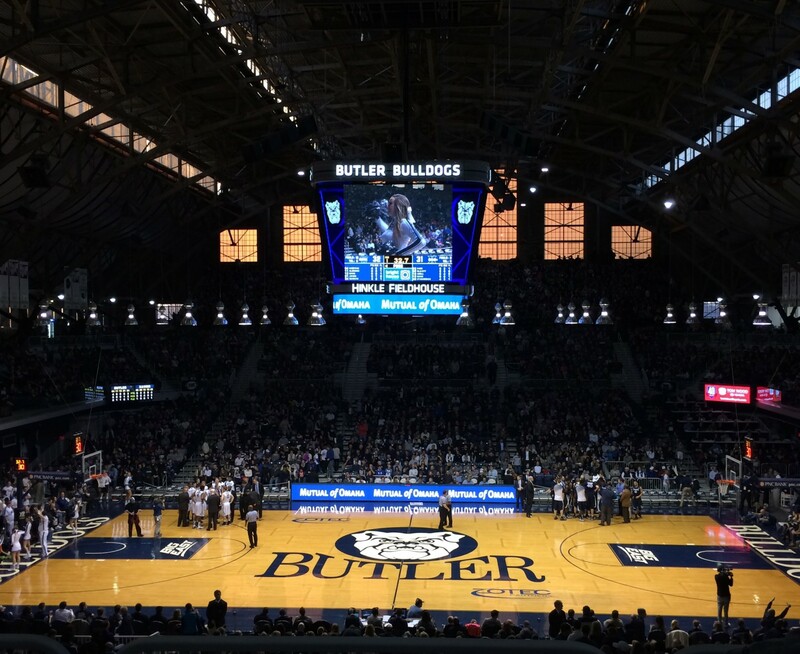 Remember last year’s drubbing of the Billikens inside a warm, cozy Hinkle Fieldhouse? File that fond memory away for now. Saint Louis has an impressive and formidable team this year. They did last year too, but last year’s result was the product of unfortunate timing. With transfers eligible to play and a healthy group, the Billikens are an expected favorite to finish atop the Atlantic 10 Conference and make the NCAA tournament. Depending on match ups come March, this may be a team you pick through to the Sweet Sixteen. St. Louis currently sits at 4-1, beating Seton Hall by two on the Pirate’s home floor and recently losing to Pittsburgh today at the Barclay Center by 2 points. Jordan Goodwin is a great distributor of the basketball and sets his teammates up for easy buckets. He draws fouls and gets numerous trips to the free throw line, along with Tramaine Isabell. Both of them are tough and will fight through contact to get to the basket. Javon Bess rarely leaves the game and averages about four 3-point attempts per game. Though he’s second on the team in 3-point attempts this season, Bess is shooting at 33% from beyond the arc. Finally, freshman big man, Carte’Are Gordon is the Billikens shot blocker and interior post. His matchup with both Nate Fowler and Joey Brunk will be interesting to follow. The Bulldog big men will be smart to utilize pump fakes while on the low block to encourage Gordon into going for blocks and hope they turn into fouls. The Billikens play at a slow pace, ranking outside the top 300 in their tempo. That can be attributed to their desire to find an efficient shot like a layup. St. Louis scores over half of their points on 2-point baskets. Although the Billikens do a great job attacking the basketball and drawing fouls, they lack in their free throw percentage. At the current date of this write up, St. Louis is shooting an abysmal 60% from the free throw line. That’s not the only weak shooting percentage the Billikens own. Just as their A-10 rival Dayton had a poor 3-point shooting percentage, St. Louis shoots from beyond the arc at a clip of 28%. As far as match ups go, playing a team on their home court is tough. The Billikens have a stout defense. Butler will do well to share the ball in this game and not rely heavily on dancing around a big at the top of the key. Drawing fouls will allow Butler, an effective free throw shooting team, opportunities to score where they have shown areas of struggle in the early portion of the season (namely 3-point shooting). Result: I think the Bulldogs squeak out a close win at St. Louis, 66-62.